It's been a little hectic over here. I realized St. Paddy's Day is right around the corner. I'm not a big celebrator of the holiday. For me it always equates to a bunch of drunken patients doing things better left undone. Oh well. Still I live by the motto of any excuse to paint my nails! A few years ago I even did a quick 3 look series for the holiday. This is always such a hectic time of the year for me though because of where it lies in my school schedule so it's rare to get in some classics. 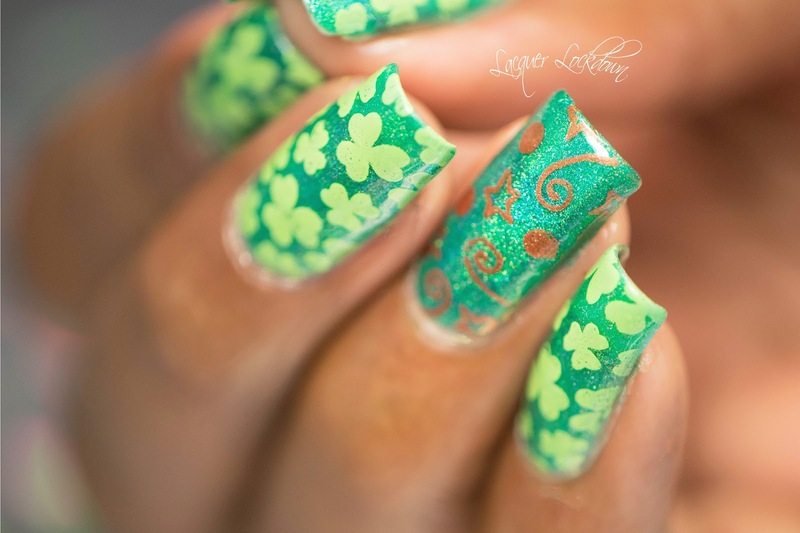 I made this mani last week though with the holiday in mind. I'd hope to do at least one more but hey at least this one is pretty! Let's talk about these Jade holo's for a moment. They are some of the most linear and super saturated polishes I have ever encountered in my life. The holo in them is strong! 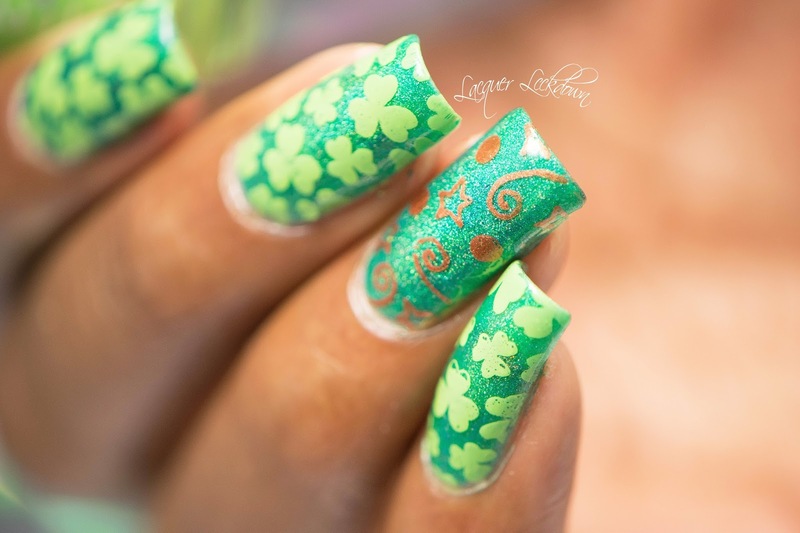 By itself I could have rocked this as a totally awesome green for St. Paddy's Day. Btw today I'm actually wearing black nails - seriously I'm a mess o_0! About photographing holos - the struggle is real! It's hard to capture their linearity the way I want too these days which is weird. My lighting is better and my exposure is even, but now because of that catching holo has become a really PITA :/ If anyone reading this has any special tips I'm all ears! Obviously I was able to get it here a bit better, but still. As you can see those EdM stamping polishes are as opaque as I said they were in my review. The Lime also happens to be rather bold and a stand alone in my collection in terms of color! Oh Jade how I love thee. Such a beautiful and rich emerald green. I've obviously been neglecting these precious pearls in my collection too much! This post contains items purchased by me/ as well as stamping polishes sent for my honest review. For more information see my Disclosures Policy. Hi Queen! This is gorgeous, but how can you go wrong with jade holo? Did you hear the sad news? 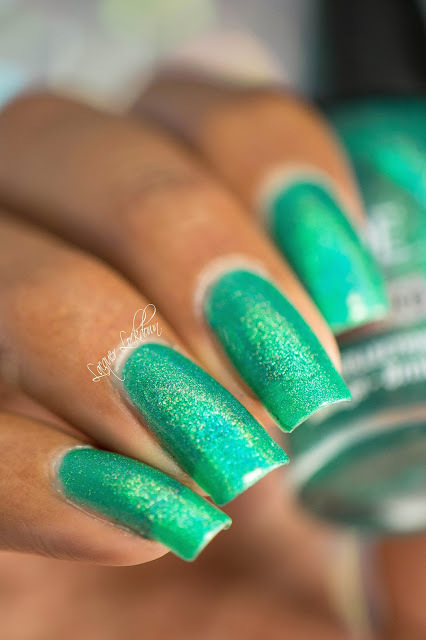 Jade is no longer going to be making polish, but they have a new collection out. 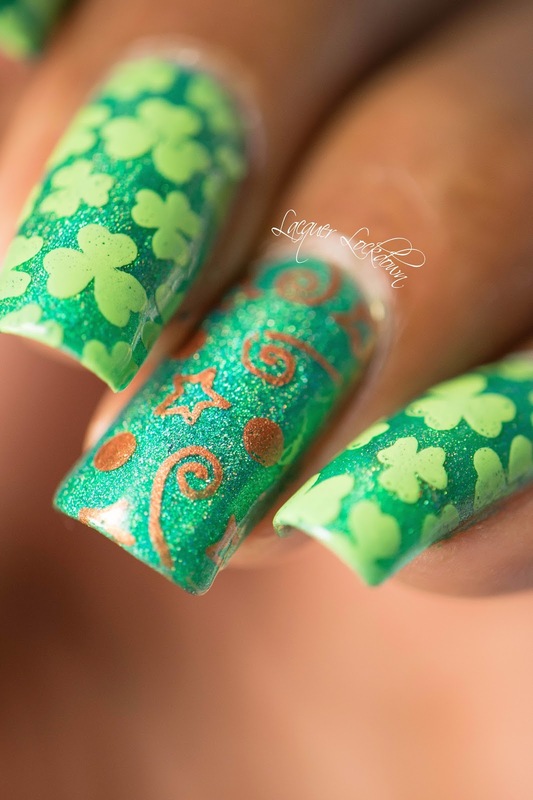 I personally know nothing about photography but in nailogicical's video on the best holo top coat she mentions something about the best way to get holos to show up.